Sometimes things look right until you try to match the parts. For example, we check puzzle joints on every kit before shipping. However, it is easy to assume that a really simple little part is right. This is what happened recently when a customer in Australia wrote saying, after everything else being so perfect in the kit, the mismatch of this one little part, the inwale doubler, had to be a mistake. Well, he was absolutely right and we really do not know how many kits went out with this little part that does not fit correctly. I can only imagine that quite a few of these kits went out and quite a few builders just dealt with it quietly. The curve does not match and it should. How did this happen? 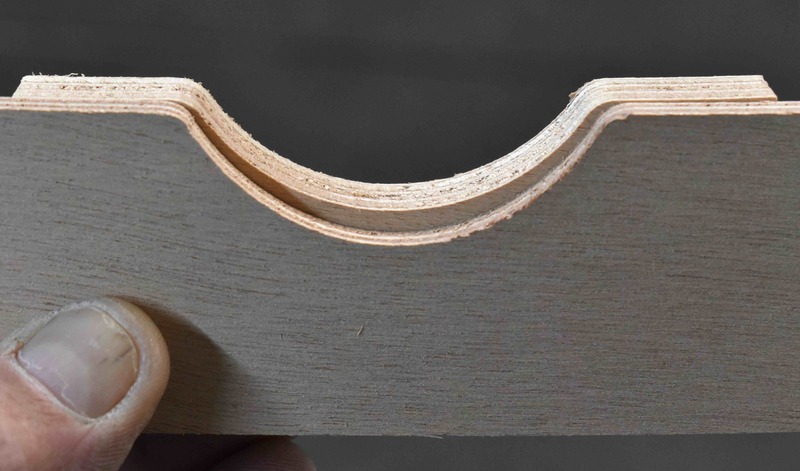 We used to cut this little doubler on the router table with the nesting notch that matches the notch in the transom inwale. Then we started having it CNC cut. I guess we never really checked. So, we now have a stack of correctly cut inwale doublers. If you are not yet at this point of your build, please contact us to get the new piece. If you had to adjust or re-cut this little piece, please accept our apologies. If you have a part that looks wrong or does not fit, we count on you letting us know. Thank you for choosing a PT 11 nesting dinghy kit! I am pleased to be the editor of a special book now available in full color print. 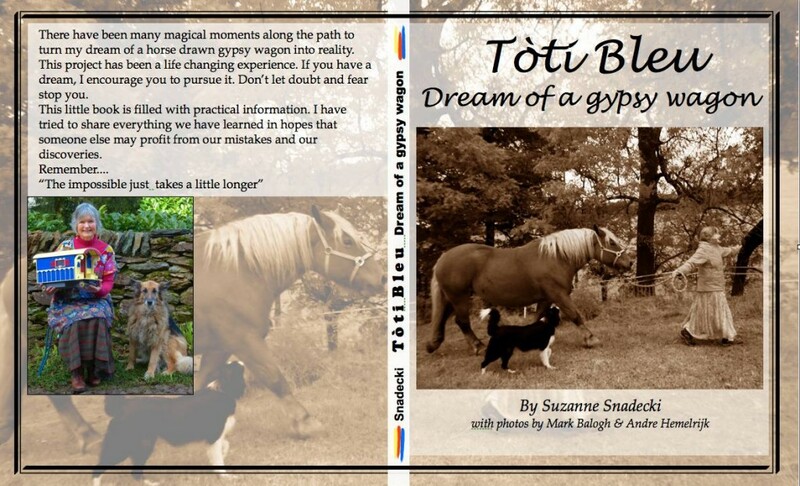 Toti Bleu, dream of a gypsy wagon, is the journal of how a horse drawn gypsy wagon 'became'. It includes modern logic behind the design, material choices, gear selection, horse breed and care. It also includes the lack of logic involved in jumping into the unknown to realize a dream, the magic of friendships both human and quadruped, and the emotional ups and downs of a long term project. What really makes this book so beautiful is the author, Suzanne, who strikes a balance between practical and poetic thought, and, the many photos taken on location in Se France. Yes, France. I may be biased, since Suzanne happens to be my mother, but this project has allowed me to get to know her in a way few children get to know their parents. I initially thought her idea was a little nutty given the lack of money to do such a thing, but following as it evolved, I am now even more inspired by her. See Toti Bleu on Amazon available worldwide. This journal was originally a blog and the story continues. The book is edited from the blog format and the 2 venues compliment each other. Be inspired to create your own 'land boat', dive into any seemingly impossible project, or simply connect more closely with flora and fauna, and especially horses. All proceeds from the book go to the author and continuing the Toti Bleu Project and message. 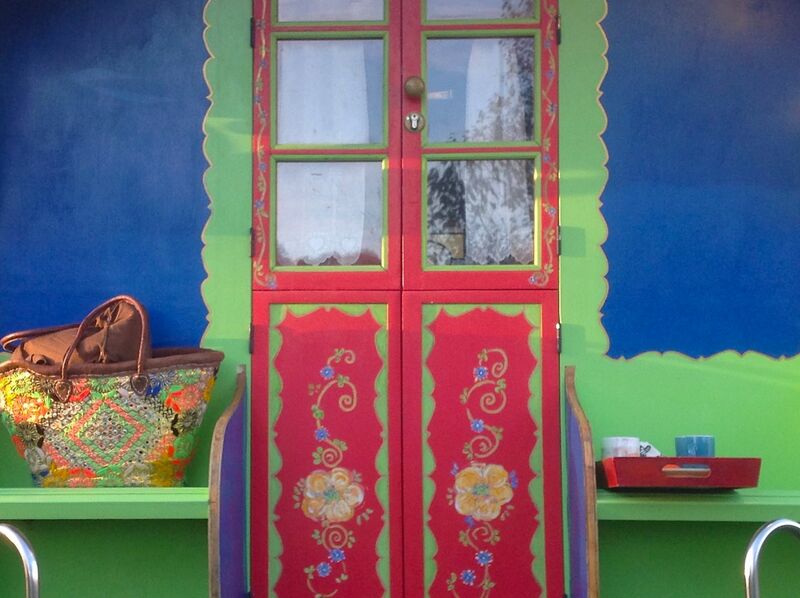 colorful happiness - Toti's front door.